One of the few beaches along Australia’s coastline that faces north. as it has gentle waves and is patrolled by surf lifesavers! as you don’t have to contend with big surf. locals picnic spot and for river boats to pull in to spend the day. up the hill from Hastings Street, including the unofficial nudist beach Alexandria Bay. so you need to go carefully. Another patrolled beach, equally beautiful but with much bigger surf. particularly up towards the headland. 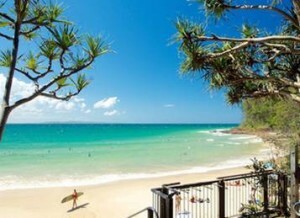 Sunshine Beach is where a lot of Noosa’s many resident celebrities choose to live. is patrolled on summer weekends and during peak school holiday seasons. It’s also great for fishing and surfing. has easy access and is popular with local surfers. An area between Castaways Beach and Marcus Beach is a dedicated off-leash dog area. it has popular surfing breaks and is excellent for beach fishing. Off-leash at all times dog area. you’ll find Peregian, another patrolled surf beach. and cafes when you’ve had enough of the sand. following the coastline for many kilometres. spots on the Sunshine Coast. or stand-up paddle board on the beach. Castaways Beach and Marcus Beach. These beaches are not patrolled but are the place to go if you want plenty of space or a long walk on the sand. where you can let them off the lead, and is popular with kitesurfers. as well as fish, surf and camp. even though it only takes about 10 minutes to get there. peeling breaks that attract surfers the world over. First Point has a perfect longboard break and on a medium sized swell it’s perfect for beginners. these smaller beaches provide good surfing in the right conditions. you will come across beautiful Alexandria Bay. and it doesn’t get as busy as Main Beach in peak season. Sunrise Beach, Castaways Beach and Marcus Beach are just minutes from Noosa. 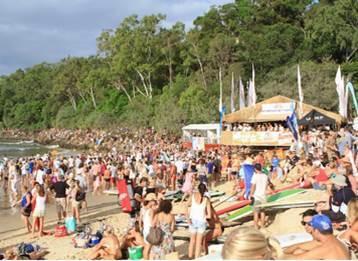 Sunrise Beach is patrolled on summer weekends and during peak school holiday seasons. Whether you’re the adventurous type or just like lying back and taking in the scenery. The area is spoilt for choice due to being surrounded by an abundance of diverse natural assets. or maybe you prefer walking and bird watching for which both these areas are famous. in the Great Sandy Straits or the Pacific Ocean, right on our door step. While your in the Pacific look into scuba diving at Wolf Rock. or go for a Horse Ride on the beach. paragliding and hang gliding to choose from, there is something exciting for all tastes.